My former boss, Benny, watching the babies with his wife, Sheree. It is hard to discern the needs of one toddler, let alone three. Remember that language thing? Yeah, there are three different dialects going on and I oftenoftenoften times cannot remember who says what, or who uses which sign or word for which item. It is a lot of diapers. One wake-time is six diapers…six. More if you forget you already changed that one. Less if you forget you haven’t changed that one all day. I did this. Last week. It is necessary to be structured. I have one nursery and three babies. One up, all up. One down, all down. And of course the babies all cooperate with this. Right. It is confusing. What do you do when one baby wakes and cries? Is another going to wake before she settles back down? If two or more wake, what do you do? These are just some of the questions David and I ask ourselves. Still. It often takes the both of us to settle two babies down. It is expensive. I’ll be honest. And frank. Frank is good, right? 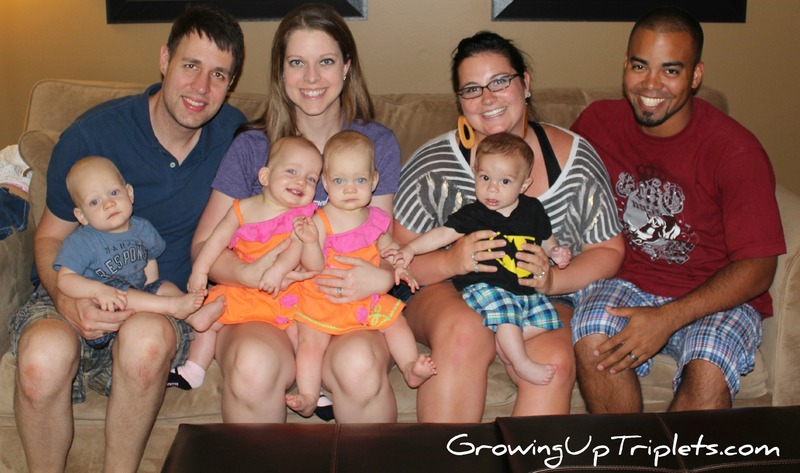 Paying a sitter is a new thing for our skinny budget…paying two sitters is even more daunting. Our friends – Joe & Kristen with their son, AJ! Amazingly, we have been able to get out for date nights about 1-2 times a month for about a year! Granted, those date nights were usually just long enough for dinner and maybe an errand. But my parents have been heroes – coming over so often to play with the babies and then shoo us out the door after they were in bed. Other than them, our dear friends, Benny and Sheree, watched them for our second anniversary dinner (yes, you read that right – second). And some other dear friends, Joe and Kristen, kept the babies for a short afternoon and we came back to feed them before leaving again for a couple hours. Of course there was our first overnight getaway that my parents kicked us out for. In the past week or so, we’ve had two amazing teens from our church and then Katherine stay with the sleeping M&Ms (remember – she was a preschool teacher!!!). Pretty much that’s it. 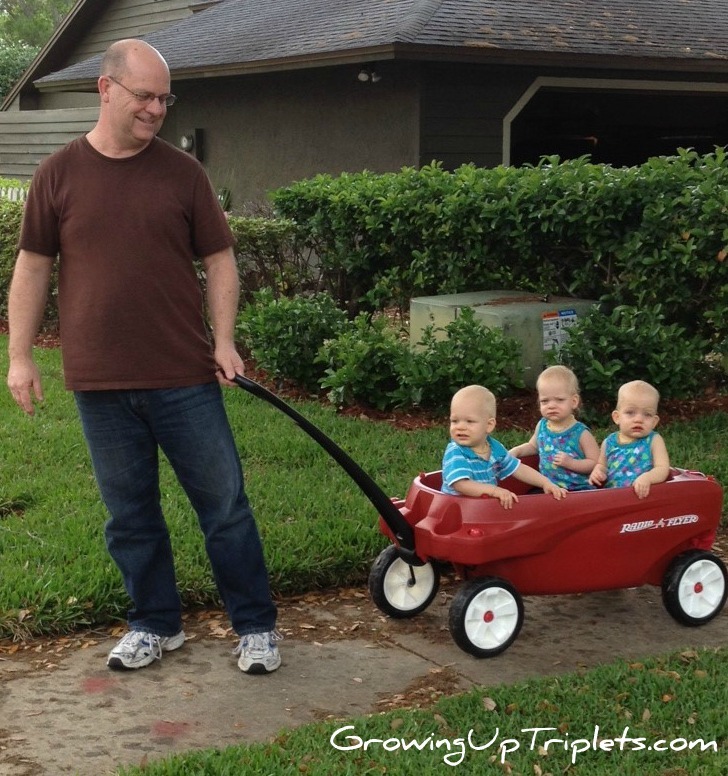 Four non-grandparent sitters in 18 months. =) And that’s ok! There have been lots of things I’ve had to say no to over the past year and a half, but it means I’m saying yes to what is necessary for our situation. 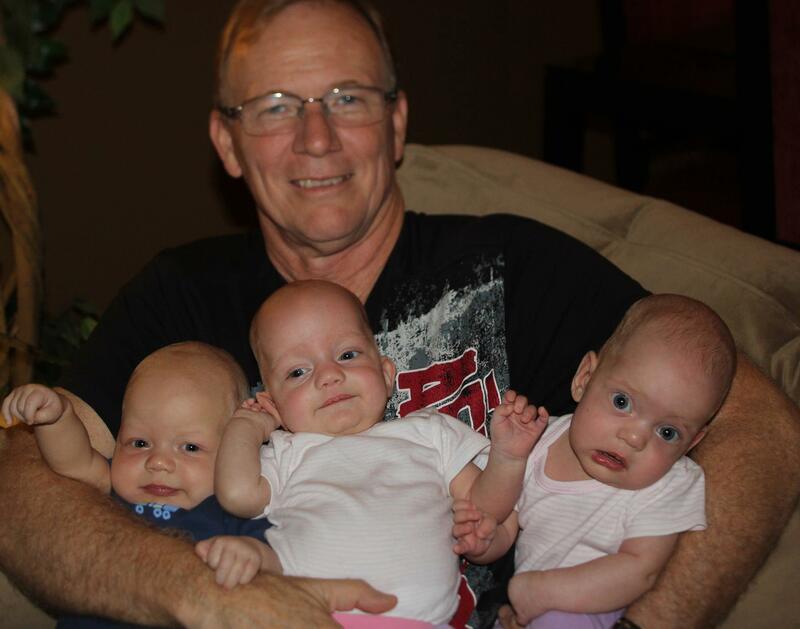 God has blessed us with three babies at once, and with them came unique challenges. But there is grace for these challenges. I definitely have to fight bad attitudes and a “need a break” mentality at times. But for the most part, He has orchestrated in my heart a love for the home and a desire to care for my babies during a season when few others can! MoMs, do you have any thoughts or suggestions? For those of you who are still pregnant with multiples, let me encourage you that there can truly be an incredible amount of grace for the massive work and unique challenges your babies will be. Few MoMs get to do what we do and it is a privilege! Amen?! =) Please let me know if you have not yet found an active community of other MoMs online and would like to join one. What a source of help we can be to one another!!! Oh, and while you’re here…would you take a second and click the button below to vote for us? See, we’re in this contest competing with other blogging moms of multiples and would love your vote. And, if you reallyreally love us, you can vote once a day! Thanks for stopping by! My name is Jennifer Fountain and I'm married to David - the most wonderful man in the world. We were married February of 2010. One year later we found out we were expecting triplets! Makenna, Noah and Emma were born on October 1, 2011. Together we are seeking God for how to raise this family He's given us. Check out our the pages above for more info. We're glad you're here! Vote for Our Blog – with 1 click! Triplets Want Real Food, Too!